Women’s basketball has been a weak spot for the Florida Gators athletic program for quite a while but that may very well change if Florida is able to reach into the pro ranks and tab San Antonio Spurs assistant Becky Hammon as the team’s new head coach. 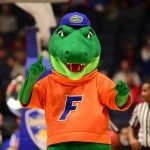 After it was first reported earlier this week by SwishAppeal.com that the Gators were “zeroing in” on Hammon for the job and a source confirmed to OnlyGators.com as much on Wednesday, The Vertical‘s Adrian Wojnarowski is now reporting that Florida has offered the job to Hammon, who is considering how such a move would affect her career. The financial offer would be a considerable raise, especially considering that she’s still a young, behind-the-bench assistant on Gregg Popovich’s staff. Nevertheless, Hammon is grappling with the decision, because she has been determined to stay on course to become the NBA’s first female head coach, league sources said. Hammon, 40, was reportedly one of three finalists for the job and was supposed to visit Gainesville, Florida, before the end of the week. 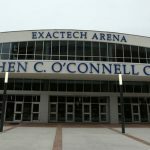 The other two finalists for the job have not been reported, though a source with knoweldge of the situation told OnlyGators.com that neither Mississippi State head coach Vic Schaefer nor Kentucky head coach Matthew Mitchell are candidates for the job, as was previously reported by another outlet. Hammon is indeed facing a difficult decision. While she may want to be the first female NBA head coach one day, she is currently the No. 4 assistant on San Antonio’s staff but honing her craft daily under Greg Popovich. Massive success on the collegiate level could allow her to return to the NBA one day as a top assistant and eventually move into a head coaching role, but struggling in college could delay and stunt her ascension in the professional ranks. As Hammon is currently coaching the No. 2 team in the Western Conference, it is unknown when she would be able to leave the NBA and assume college coaching duties should she be plucked away by Florida or another program. The NBA Playoffs do not end until mid-June.